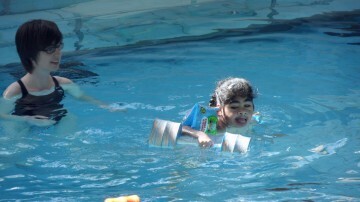 The students at Kimi Ora School are encouraged to make gains through the use of hydrotherapy. Occupational and Physiotherapists work with the teaching team to create programmes that work on improving swim skills, developing increased control over their body, rehabilitation from surgery, sensory developments and the emotional gains achieved through increased confidence in the water. 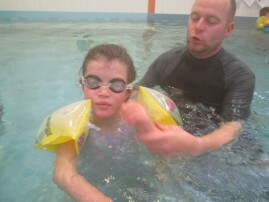 Swimming is also a wonderful motivating way to work on gaining independence with dressing skills. Both sites have hydrotherapy pools, and the Wellington Regional Aquatic Centre is utilised at Evans Bay.